My fiance and I started dating about 2 years ago, and caused a weird ripple through my group of friends, 2 in particular. One, we'll call her "M," has been dating a friend for a while (this relationship is how M became part of the group and she became close with everybody pretty quickly). M has been rude and hostile towards my fiance since before they even met (she told her girlfriend that I said something comparing my friend and fiance's teaching abilities when I never said that AT ALL)-she's also known as a pot stirrer within the group. When we told this group about our engagement, M said nothing (all she said was 'can i turn the music back on or...?') and when she left didnt say a thing to me or my fiance. Another friend, A, has been distant since my fiance and I started dating. She and I have been close for many years, even driving across the country together to see Cher in DC. We have a lot in common, but she has always been one to keep a distance/avoid social interactions at any cost. This is all fine. However, she has also been rude and cold to my fiance since we started dating. I finally asked her about it and she told me she doesn't particularly like him because "he is just a lot." She couldn't explain this further. My fiance has tried to get her to come over for dinner on multiple occasions because she lives 5 minutes away (walking) and she always has a reason not to come. I know that I have put the effort in, but it's not reciprocated. She wasn't at the group gathering when we announced, so I tried on multiple occasions to find a time to hang out. We ultimately needed to cancel the plans we made because she was sick. My fiance and I were ready to put it on social media so I sent her a text to let her know that I wanted to tell her in person, but didn't want her to find out any other way but from me. Her response: "oh somebody already told me, and I wanted to tell you congrats in person, so congrats!" A few days later I let her know that it was bothering me that somebody told her and asked her who it was, and her response was "oh I dont feel comfortable telling you that. It would put me in an uncomfortable situation and put me in the middle of this." To me, she already put herself in the middle by letting me know that somebody spilled the beans. What's more, I'm bothered by the fact that she knew and didn't reach out-I know if I found out a good friend was engaged, I would have! Not once did she ask for more details about the proposal or the event itself. Which leads me to my quandry-do I invite them? I'm feeling more inclined to invite A, as we were close for so long and I feel like I might regret not. M, on the other hand, I have no interest in having there. I don't want people there who aren't entirely happy for us and who wish they were any other place. On the other hand, I don't want her girlfriend to be in the middle or feel disrespected, because she and I are still relatively close. THere are other layers to this that I'm happy to share, but any immediate thoughts? Friend A sounds like her biggest crime was dating someone you don't like? Friend B's biggest crime was not saying congrats in the way that you wanted it? 1.) You cannot split couples event if you do not like them. So friend A and M are a package deal. 2.) Why does it bother you so much that someone spilled the beans. It sounds like maybe she wasn't grateful, but she didn't want to lie to you, and it sounds like you have a tendency to overreact, so I do not blame her for not wanting to say who told her. 3.) People can not like your fi, that's ok. Friend B was not tactful or particularly nice in saying as much, but its ok to say that he is a little much. That isn't the biggest insult in the world. 4.) who cares if she didn't ask for details. I don't ask for details. No one cares about your wedding as much as you do. I would suggest you take your wedding out of this. Leave it a couple months and see where you are with A and B by the time invitations are due to be sent out. Try to hang out with them one on one, and work on your friendships without weddings/ fiances/ Other halves etc. And also try to not get caught up in petty drama. Some of this sounds really, really petty. If you want to not be friends over it, that is your choice, but it seems a shame to miss out on friendships that you once enjoyed. If M is still dating your friend when invitations go out, you have to include her. You're not obligated to interact with her that day beyond thanking her for coming to the wedding, but you do need to respect that she's your friend's girlfriend and not put your friend in an awkward position. As for A, I think what you need to decide is whether you can get past her apparent dislike of your fiance and continue the friendship in spite of it. While she shouldn't be rude, she's also not obligated to like him, and if you want to stay friends, you may need to adjust your expectations and make plans with her without your FI. I don't think you can decide whether to invite her to the wedding or not until you address all of this. Thankfully, you have some time to figure it out. By the way, try not to take her lack of interest in your engagement so personally. Some people just don't get excited about wedding related stuff, and some people also such news as a reminder that their lives aren't where they'd like them to be. Also, if you insist on waiting to tell someone this kind of news in person, there's a good chance that someone else is going to tell them first. That's why I called or texted close friends when I got engaged, because I knew that it was going to be a while before I saw most of them. You need to let that go. I would wait until July or August and reevaluate the relationships then. You can budget for them now but not send a STD. If M is still dating your friend at the time invites are going out, she needs to be invited. You can't not invite someone's significant other because she rubs you the wrong way, or didn't show enough excitement about your engagement. I don't really understand what A did that's so wrong. If you want to continue a friendship with A, let it go. Your wedding is not until October, so you have time to make these decisions. Also, some advice. No one will be as excited about your engagement/wedding as you. THISSSSSSSSSSSSSSSSSSSSSSSSSSSSSSSSSSSSS. I wish I could still make fonts bigger. You have so much time here. And if you're the type of person who is willing to exclude people who didn't immediately gush at your engagement, I'm willing to bet that you're going to have a very dramatic several months between now and the wedding. Give it time. And don't be mad at people for not doing or saying exactly what you want them or expect them to. While those reactions sound like unfriendly judgments, I agree with giving things time and reevaluating your relationships with A and M several months from now, when it's time to finalize your guest list. You're not at that point yet if your wedding is scheduled for next October. If M is dating someone you are planning to invite, then they have to be invited together. Not to do so would be very rude to them both. I was invited by myself to attend the wedding of a close family friend's son once who was like a younger brother to me and my actual younger brother. I'd been dating my then BF for over two years at that point and we were starting to talk about getting married. But the friend's son and his FI decided to implement a "no ring no bring" policy that was really hurtful to people like me who were in relationships but not engaged or married. I declined the invitation and have been forced to see them in a different, unpleasant light since they judged my relationship. In the case of A, I would just let things be for now. 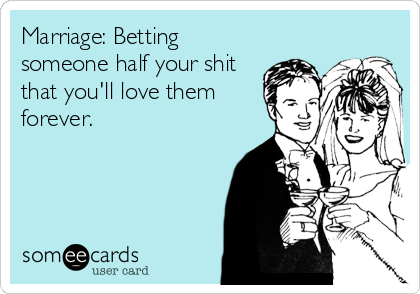 In both cases, bear in mind that no one will ever be as excited as you and your FI about your wedding. If you don't get the reactions from friends and relatives that you are looking for, either don't take them personally or consider whether their issues have any merit. Ditto PP that you have several months before deciding. What you wrote here probably won’t even annoy you come invitation time. The exchange with A is a bit odd but not anything terribly offensive. I don’t like some of my H’s friends, and so I don’t hang out with them. SO’s and friends don’t have to be friends themselves. M lying to the gf saying you said something you didn’t would definitely annoy me and I wouldn’t trust them. That said, M is half of a social unit, so if you invite your friend who is dating M, you’ll have to invite M too. Thank you all for your responses! I appreciate those who took the time to read it and respond so thoughtfully! I completely agree that there is still a lot of time, and I'm definitely jumping the gun a bit. You're all spot on-they are part of a social unit, and I'm not going to be the one to split that up (even for the evening). Thank you all! Happy posting! M is actually a pretty easy decision. If M is still dating your all's friend at the time invites go out, then M is included (by name) on their invite. Because you have to invite all Significant Others (SOs). It doesn't matter if this person doesn't particularly like you all and the feeling is mutual. It's still extremely rude to exclude a guest's SO. Quite frankly, it could potentially end that friendship and also make you all look like the "bad guys" in the friend group. As for Friend A, I would mentally include her in the guest list count. But not send her a Save-the-Date (if applicable) or talk about the wedding with her. In a nutshell, don't do anything that gives her the impression she will be invited. It's a looooonnng time before invites will be going out. Re-evaluate the friendship at that time and decide if you all want to invite her or not. As an aside, Friend A didn't do anything wrong, as far as the engagement went. I'm not sure why you'd be upset with a mutual friend for telling her. Your all's engagement isn't a secret. It also makes sense she may have been waiting for you all to mention it before saying her congratulations. Maybe she would have/will ask follow up questions, in person. But didn't want to do it in a text conversation. Maybe she won't. Because that's not necessarily unusual either. As for her being "rude and cold" to your FI, it depends what she's done. There is a difference between actually being rude vs. being polite, but not warm. I get the impression it is actually more of the latter. She doesn't have to like your FI. Even if it is for no reason. Sometimes that's how feelings are. But she does need to be polite to him. So, if she has actually been rude...like calling him a name or making a disparaging remark...I hope you have defended him/called her out on it at the time it happened. I'll also point out that she didn't even say anything against him to you, until you confronted her and asked her why she seemed distant with him. At that point, she was just honestly answering your question.